Thailand is one the most visited countries in Asia and is renowned for its charming culture, beautiful sand beaches, Thai culinary delicacies and some amazing tourist attractions. 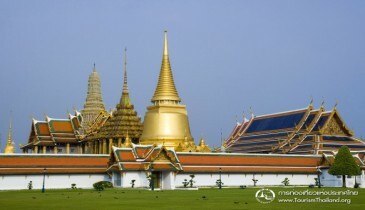 Enjoy the highlights of Thailand and experience Bangkok and Pattaya, the two most vibrant cities of Thailand. You will enjoy 3 nights stay in Pattaya and 3 nights stay in Bangkok along with complimentary breakfast. 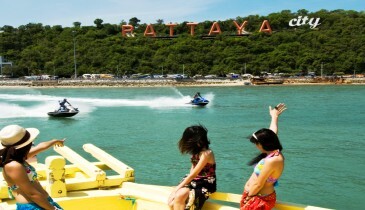 Enjoy a Coral Island tour and Pattaya City tour included in this package. The package also includes Economy Class Return Airfare and All Transfers are on seat in coach basis. 3 Nights Accommodation in Pattaya. 3 Nights Accommodation in Bangkok. On Arrival Visa fee of 2000 Thai baht (to be Paid directly by the Guest at Thailand airport) OR Visa fee from India Rs. 4,000/- (per person) Extra. As of now airfare in the package is calculated at Rs. 19,000/- (per person). Any increase in the airfare to be Paid Extra. Arrive at Bangkok. After custom clearance, visa processing and baggage claim, Local Tour representative will meet you at Gate No. 3, near information centre (subject to change, kindly check your vouchers). Thereafter, he will transfer you to Pattaya. Enjoy outside views on your way to Pattaya. On arrival, check in at the hotel and relax. After a morning bed tea, refresh and recharge yourself with a fill at breakfast. The day is free at your own leisure. Laze on Pattaya beaches, go for some shopping or self exploration or else, you can opt for some local sightseeing tour (on an extra cost). Later return to your hotel and relax. This being your last night in Pattaya, you can also go for exploring the raving nightlife of Pattaya. Wake up to a vibrant morning in the land of unlimited delights and recharge yourself with morning breakfast. Today is free for your own leisure. Catch up on left shopping deals or go for self exploration of the city. Or else, opt for a thrill-filled day at Safari World & Marine Park (on an extra cost). Safari World is Thailand’s greatest open zoo and leisure park that offers loads of thrills and entertainment for all ages. Enjoy a spectacular and nerve-tickling safari drive through African wilderness setting, get close to the friendliest dolphins, watch the unique tiger & lion feeding show, etc. and have loads of fun with your loved ones. Later return to hotel and relax. Have a fill at morning breakfast and set out to explore the wonderful city at your own. Visit to Bangkok remains incomplete if you don’t shop! Explore the markets and grab great deals at the local markets or world-class malls for absolutely everything you buy right from trendy clothes and accessories to designer goods and electronic gadgets. If shopping is not that you are looking for, opt for any sightseeing tour (on an extra cost) that suits your interest. Relish local cuisines and this being your last night of the trip, you may as well explore the famous city nightlife. Return to the hotel afterwards. Pack your bags in the morning & take transfer to the Bangkok Airport (to be arranged on your own) for your flight back home. On your return, we would like to receive your feedback about the trip. The coral island tour will offer you a change from the Pattaya’s hedonistic pleasures and hustle bustle to a calm, soothing and relaxing environment at the Koh Larn Island. The Koh Larn Island also known as the Coral island & is at a 45 minutes ride from Pattaya in a slow boat. Once you arrive at the Koh Larn, you will be greeted by blue turquoise water, uspsoilt beaches and green foliage. Here you can simply unwind by relaxing at the beaches or get your adrenaline pumped by water sports or you can even enjoy soothing nature trails. You can enjoy lots of activities like parasailing, water-skiing and jet-skis. Snorkeling and deep-sea diving are recommended as you will explore the complex coral reef formations. The tour will be a great relaxing experience for you and you will feel relaxed and rejuvenate. Pattaya, a beach destination where the light blue sea offers an alluring view attracts millions of tourists round the year and offers a covetable trip to the tourists. Beach umbrellas and beach chairs arranged aesthetically along the beach line, food stands having local Thai food after every few steps, clubs and bars located along the seaside road, offer all the spices of making a delightful stay for the tourists at Pattaya. It offers excellent opportunities for water sports like scuba diving, sea swimming, snorkelling, under water scooter and many other varieties of leisure activities. Espying a 360 degree view of Pattaya from the Hill Top leaves you enchanted. Pattaya also boasts of one of the world’s biggest gems shop named as “Gems Gallery” where you can see varieties of gems and rubies and jewellery in unique articulate designs and can buy them too! Choice of hotel is not available in group tour, mentioned or similar hotel will be provided (kindly check hotel rating and other details on respective website of hotels). Luggage allowed- One hand baggage and Maximum 20 kg's of baggage is allowed. Carriage of Extra Baggage or LCD TV will be at clients own arrangements or at an extra cost, which will be advised by the local tour Operator. This is a promotional package which is available only for limited seats which cannot be hold and are subject to availability of seats on selected departure dates. This package is subject to change without prior notice. Triple occupancy is not allowed in Romeo Palace hotel in Pattaya. In Case Romeo Palace hotel in Pattaya is confirmed in your Package. Then you need to Pay Rs.3500 Extra & you will get one single room for 3rd passenger. Baggage Allowance- Generally one suitcase not exceeding 20 Kgs of Weight and 62 Inches of Linear Dimension (L+B+H) is allowed as check in Baggage. One bag of not more than 07 Kgs and 42 Inches of Linear Dimension (L+B+H) is allowed as Handbag/ Cabin Bag in Economy Class. Please reconfirm with your airline before traveling as its subject to vary with different airline. All Tour packages offered by us are governed by the terms and conditions and undertakings in the package tour - service agreement along with the booking form, which are incorporated herein by reference. This intimation supersede all previous offers by us and any verbal communication or offer made earlier by any of our representatives. Airlines tickets once issued, ticket amount is totally non refundable and date change is also not allowed. If cancellation is made any time not less than 11 days prior to departure, Rs. 10,000/- shall be deducted. If cancellation is made 05 to 01 day prior to departure, 90% of tour cost shall be deducted. Once booking is confirmed during Super Peak period (Festivals, Holidays or Long Week ends) Cancellation fee of 75% of Tour Cost will be charged for all booking canceled within 45 days of travel.